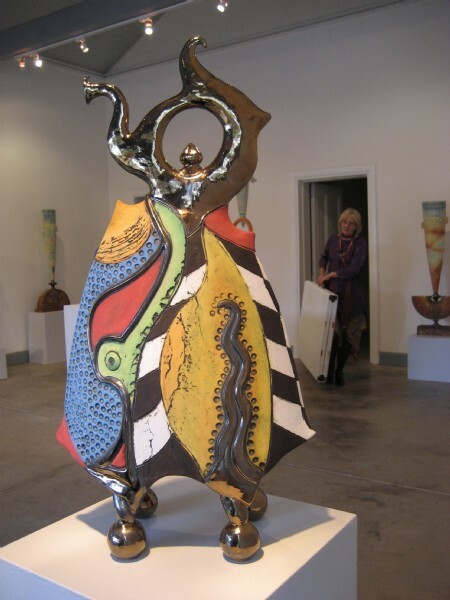 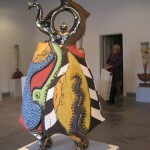 Every year the Innter City Clay Workers Gallery in Glebe hold the annual Sydney Teapot Show. 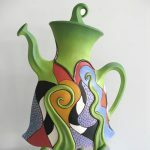 Picture: Last Tango Teapot, Jitterbug Jug and Blue Suede Shoes. 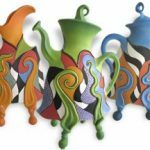 These large sculptural domestic pots explode with color and energy. 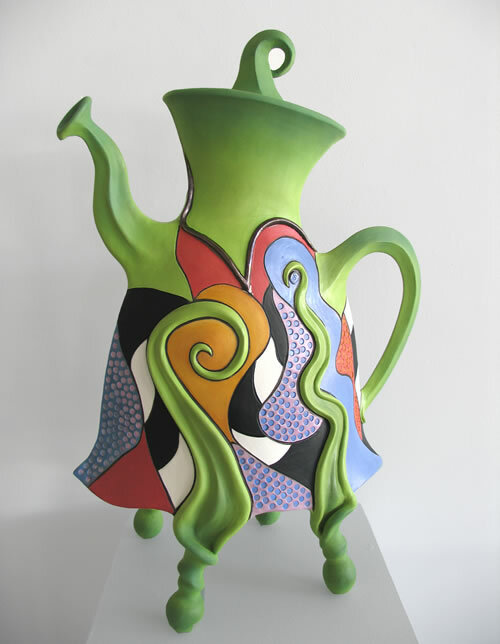 The sole purpose of these ‘utilitarian’ vessels is to delight and amuse the viewer. 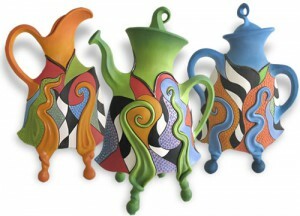 They are made from earthenware paperclay and decorated with underglazes.